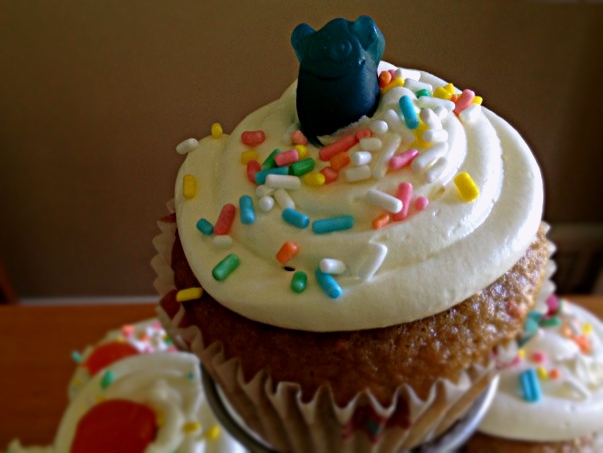 Juicy Juice Monsters University Cupcakes + Monsters University Toys! 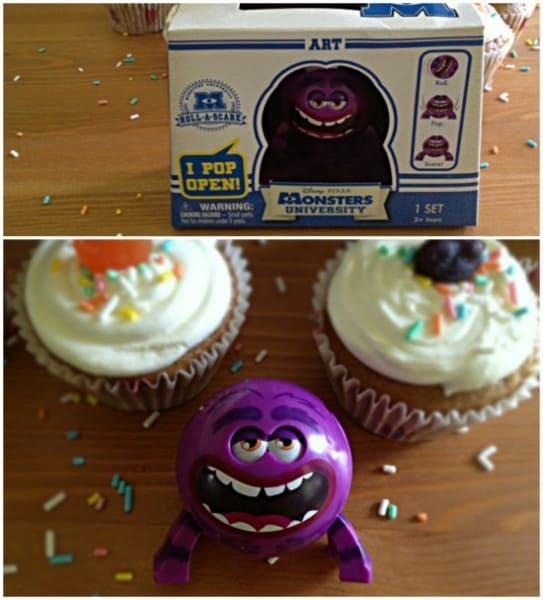 Fun with Juicy Juice Monsters University Cupcakes and Monsters University Toys! I've always loved those friendly monsters from Monsters Inc., and I've been excited for months for the release of Monsters University. My kids definitely know this. They can't wait to point out all the fun Monsters University toys and merchandise when we go shopping together because they know I'll likely be even more excited than they are over all the fun toys! 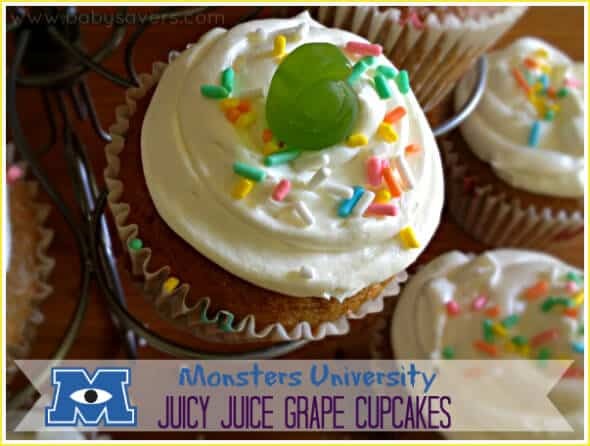 Since I'm such a Disney fan and I love bringing everything Disney to my kids, I was excited to shop for Juicy Juice and one of the new Monsters University toys to use in a fun Monsters University cupcakes recipe! 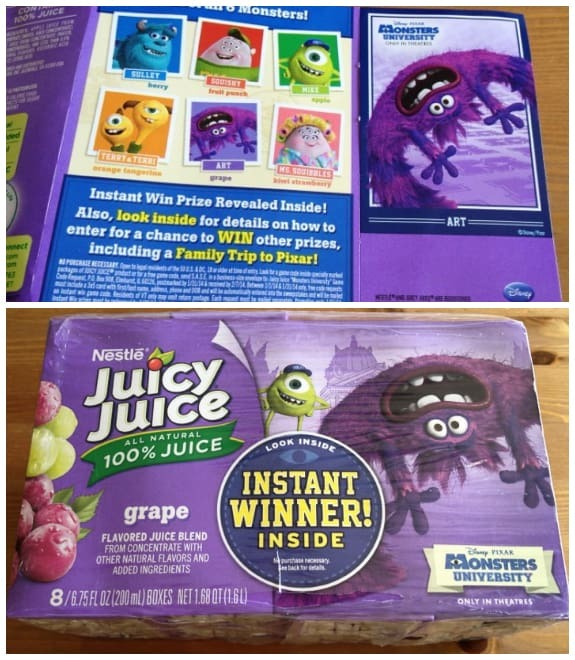 Juicy Juice is doing a Monsters University tie-in with the Juicy Juice Monster-Sized Sweepstakes. I bought one of the specially-marked Juicy Juice products, found the code inside the package and entered it on JuicyJuice.com. I was excited when I instantly won little package of printable Monsters University coloring pages, which I immediately downloaded to print out for a little entertainment later that day. I also clicked one more button after I won to enter the sweepstakes for a chance to win either the grand prize of a trip for four to San Francisco for a tour of Pixar Animation Studios or one of 10 first prizes of $5000 scholarships! 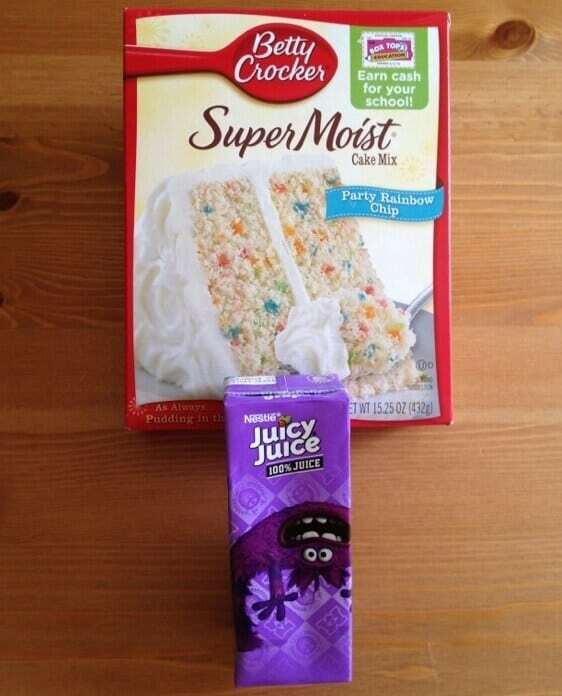 After I entered the Monster -Sized Sweepstakes, I set about to make a fun, slightly healthier version of regular cupcakes using Juicy Juice and featuring Monsters University fruit snacks! I'm betting you're wondering how I made these Monsters University cupcakes a little healthier than your everyday cupcakes, and how I made them with Juicy Juice. You might also be curious as to how they tasted and what they looked like inside. I have all the answers for you below! Did you know you can substitute juice for the water in a standard cake mix? 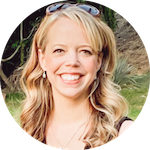 I love this idea because a healthy drink like Juicy Juice adds color without artificial dyes, flavor without extra high-fructose corn syrup and can even add a bit of extra vitamin C! I started out with a regular, everyday Betty Crocker white cake mix. I picked the Funfetti variety because, really, who doesn't like sprinkles? The recipe called for 8 ounces of water, and I was substituting juice for all of it. Since the drink boxes contain 6 ounces of juice I actually had to use a full juice box plus a little of another one. 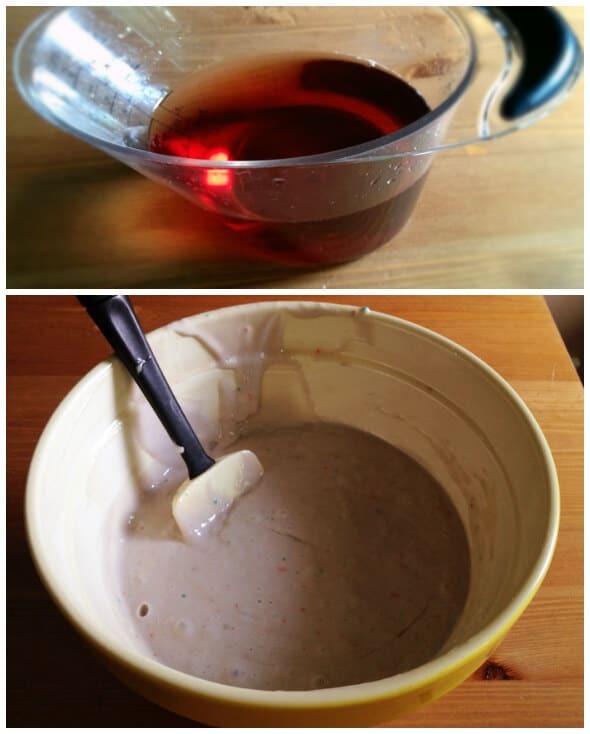 Following the basic directions on the box, I poured the cake mix into a bowl and added 3 eggs. The recipe called for half a cup of oil, so I did my usual healthier switch and instead added 1/4 cup of oil and 1/4 cup natural applesauce. It's less fat without adding weird flavor or losing that essential moisture! The recipe on the box also required a cup of water. Instead of water I used Juicy Juice grape juice and mixed it all up with a hand mixer. It ended up a light lavender color, and I loved that the colors in the sprinkles still showed up! The special color plus sprinkles would be perfect for these Monsters University cupcakes! Then I continued with the directions, poured the batter into my cupcake pan and baked them for 20 minutes at 350. After I baked them, I whipped up some frosting, scooped it into a zip-top bag, snipped off a corner and piped swirly puffs of vanilla icing on top of my grape cupcakes. …and we even had a few Randall cupcakes! I really wanted to make our ordinary day special, so I arranged the Monsters University cupcakes on a little stand and brought out the Monsters University “Art” Roll-a-Scare toy and displayed it in front of the cupcakes. I thought Art's purple color would tie in nicely with the grape cupcakes! As for the purple color from the grape juice, I was a bit disappointed that the color didn't show up all that well once the cupcakes were baked. They did have a slight purple tint to them, and my kids definitely noticed it, so I guess that's all that matters! I was also still loving the fact that the sprinkles were visible after adding purple liquid to the mix! The cupcakes also tasted delicious. 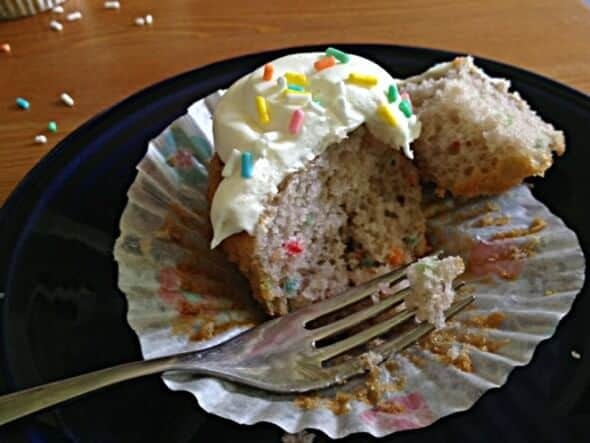 They were perfectly moist and had a hint of fruity flavor to them, which was a nice change from the white vanilla cake mix flavor! When I finally revealed the Monsters University cupcakes to my kids, they were so excited with the special treat, the sprinkles AND the new toy that they could hardly contain themselves! They each gobbled up a cupcake then they got right down to the business of figuring out the toy and how to work it. The Monsters University toy is small and I wasn't sure how enthused they'd be over it, but they played with it for a long time on the day I gave it to them, and they've spent a lot of time with out little “Art Ball” in the days since! You can learn more about Juicy Juice when you like Nestle on Facebook. 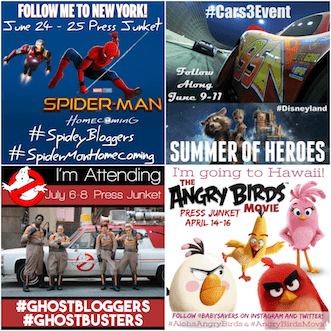 You can also like Disney/Pixar on Facebook to stay on top of all the Monsters University news! Will you be seeing Monsters University this summer? Filed Under: recipes Tagged With: healthy drink, lifestyle, monsters inc.
Hi there! I just found your blog because TheHomesteadSurvival.com blog reposted your Hershey’s Chocolate Syrup copycat recipe to their Facebook wall. Thank you so much for that recipe! I’m trying to cut out HFCS and unpronounceable ingredients wherever I can and this recipe is awesome. I’m reading all of your blog now, and I love these cupcakes! Very inventive to use juice instead of water. I can’t wait to try it. Thanks for visiting, Garrick. 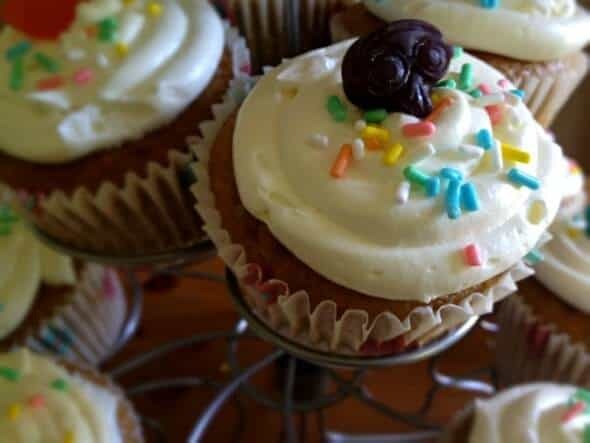 I love that Hershey’s syrup recipe, and I’m glad you found your way to this cupcake recipe! Grape juice mixed in the cupcakes sounds really good! I’ve done a few fruit flavors before but never grape…yum! Oh, Amy, it IS good!